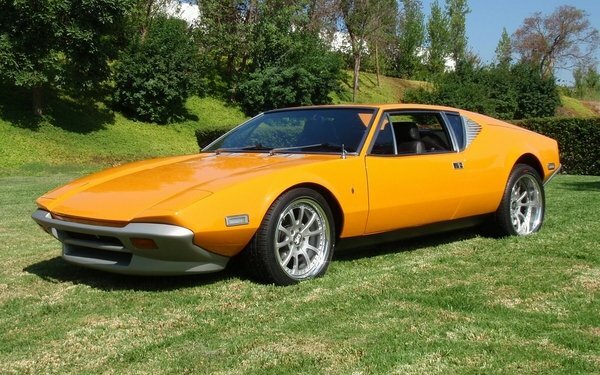 The Pantera is DeTomaso's most significant production car to date, and lived an overall production life of nearly 25 years. It is the model which most people identify with DeTomaso, and completed the company's transition to a volume producer of high performance GTs. In describing the Pantera's career, especially from a U.S. perspective, it is easiest to view it in three separate stages: the Ford importation era (1971-1974), the post-Ford era (1975-1990) and the final iteration (1991-1994), as these last Panteras were substantially different than all prior machines. In the late 1960s, Ford was in need of a high performance GT to combat the likes of Ferrari and Corvette, and assist in generating additional dealership traffic for its mainstream product lines. DeTomaso Automobili was relying on Ford for engines used in the Mangusta and had purchased the Ghia design and coach-building concern. Contact De Tomaso Modena S.p.A.